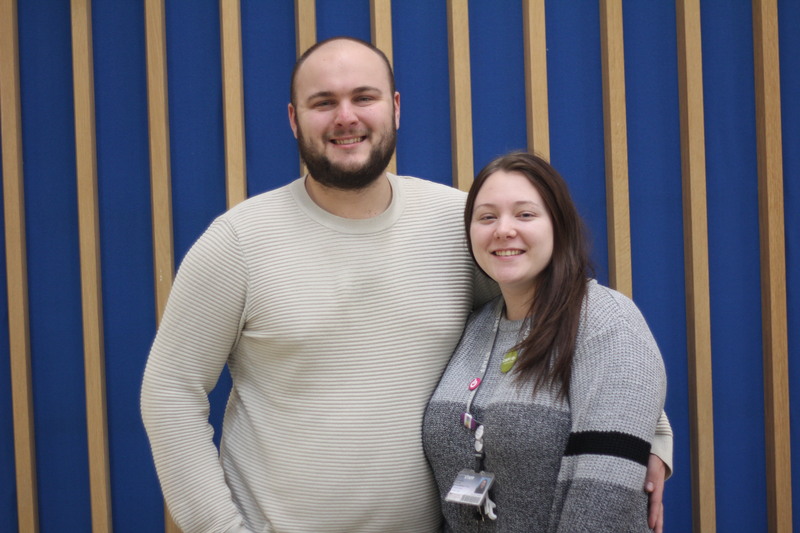 Valentine’s Day special – couples who found love at Newman University! With Valentine’s Day just around the corner, we thought it’d be the perfect time to share some Newman University couples’ stories of how they found love on campus! Bryannah Collins and Tom Ashford met while studying their undergraduate degrees here at Newman University. Bryannah was studying History while Tom studied Business Management. 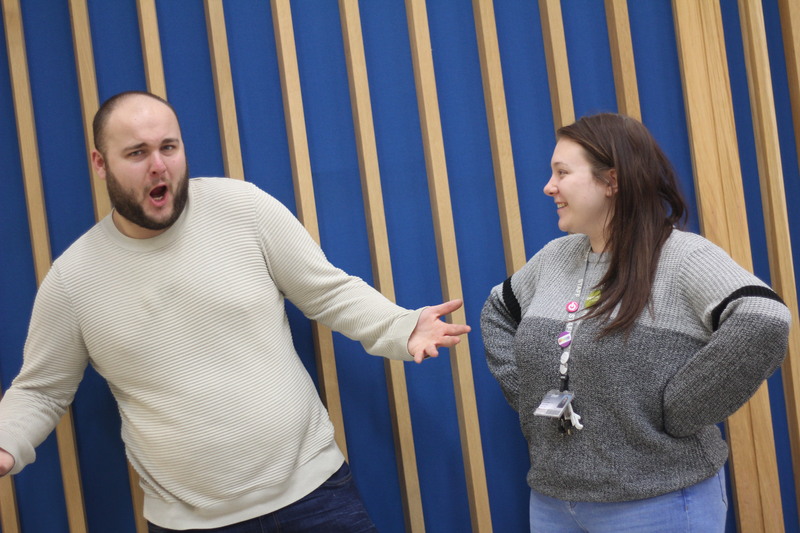 They now work on campus fulltime as SU Vice President and SU President. This was an event in Derby. I was Societies Officer in the SU and was there with one of Tom’s friends – this is how we were introduced. We’ve been together for two years now and love Newman and the community here; it’s a big reason for working together in the SU. We both graduated and applied for roles here. We are thinking about staying at the Students’ Union but as we’re both big nerds we’d love jobs in quality or, policy-related roles! Tom also has a huge passion for marketing – so he’s looking for a career in that sphere at the moment. Tom loves football and runs a team in Selly Oak, and I am a huge foodie as both of my parents were chefs, so we love food festivals, markets and trying out new things together. We also love visiting Tom’s apartment in Portugal, it’s a great place to get away for a few days when we can! One of our biggest aims is to get ourselves a Chow Chow! We both love the breed and dogs are just one of the best things! 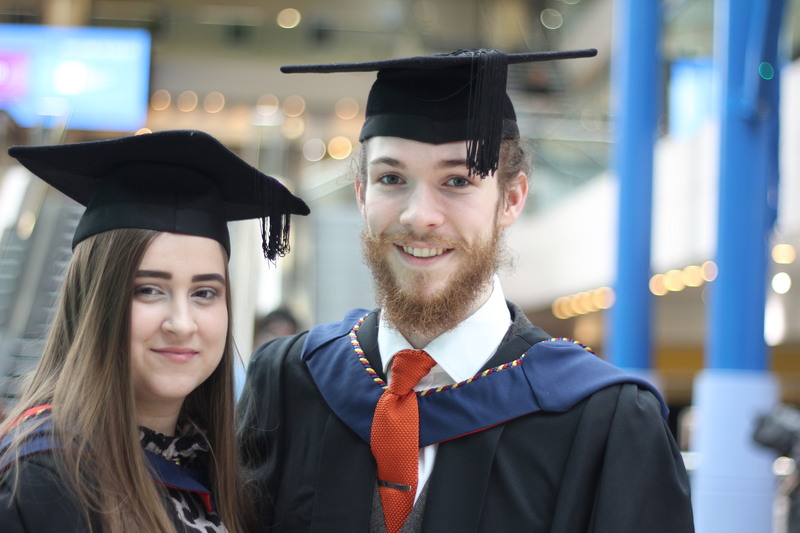 Daniel Bevan and Shannon Tague also found love while studying here. Daniel was keen to share their story. We’ve been together for 3 years. Laura Brennan would probably like some credit at this point for ‘getting us together’ because apparently if it wasn’t for her we ‘wouldn’t be together’! We both loved our courses (Drama and English) and made some incredible friends and of course met each other! I’m studying for a PGCE Secondary English, Shannon is studying PGCE Primary. We like gigs too; we spent so much time during our undergrad going to gigs and seeing bands that we each loved. I took Shannon to various gigs and she took me to see The 1975. Before we met, Shannon bought two tickets to see Catfish and The Bottlemen, unfortunately I missed out on buying them. After we met and started talking about music Shannon mentioned that she had a ticket and asked me to go with her – that was our first gig together. In the future, we see ourselves being teachers, living together and having a few cats (possibly named after the Shelby brothers from peaky blinders). 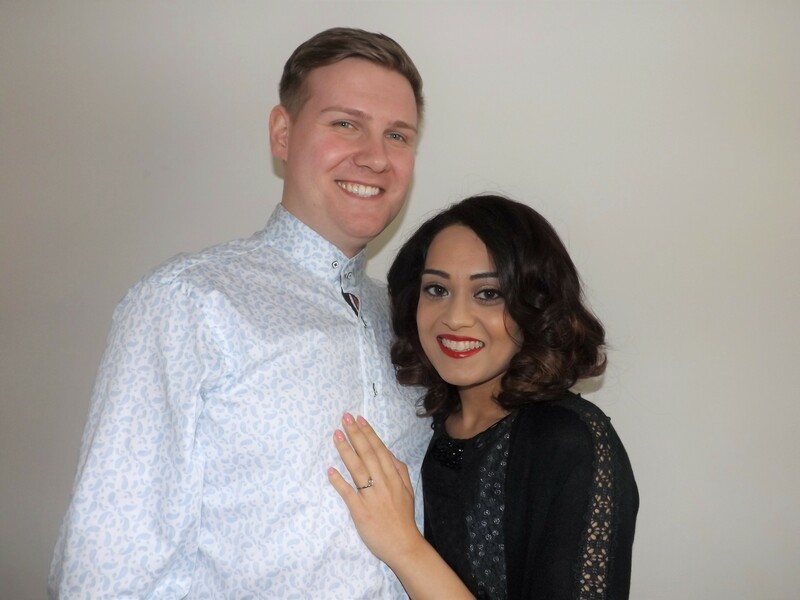 Johnathan Palmer and Shamim Khalid fell in love so much so, that with the help of staff – Johnathan proposed to Shamim on campus outside the lecture theatre where they first met 9 years ago! Johnathan and Shamim studied their BSC Key Stage 2/3 ICT together, graduating in 2009. They then returned to Newman University to study their Masters in Education, graduating for the second time in 2012. One day we received a flyer from Newman University advertising their Masters’ degrees. At that time, the government was discussing making all teachers do a master’s so we thought we’d get ahead of the game and do it together at Newman. After our masters’, our friendship developed further and became more serious. She’d drop small hints like “this is a nice jeweller’s” and “this ring is nice”. You can read more about this romantic proposal on our news article! Did you study at Newman University and find your other half here? We would love to hear your story! Feel free to private message us or comment on social media.